The Ember Mirror radiant panel looks just like an ordinary mirror. Yet, looks can be deceiving. 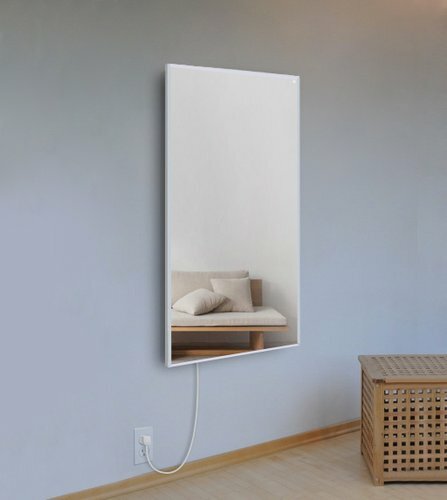 This 2.9- by 2-foot plug-in mirror emits 600 watts of heat so that it can heat a room and even function as a heating source/mirror defogger in bathrooms. 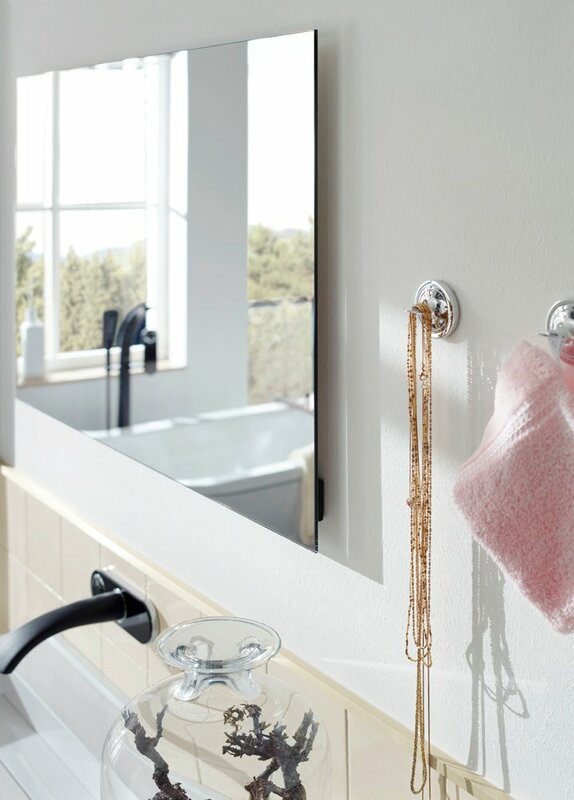 Furthermore, mount it vertically in a dry area of your bathroom, accessorize it with a few towel bars, and you have a beautiful, fully functional towel warmer. 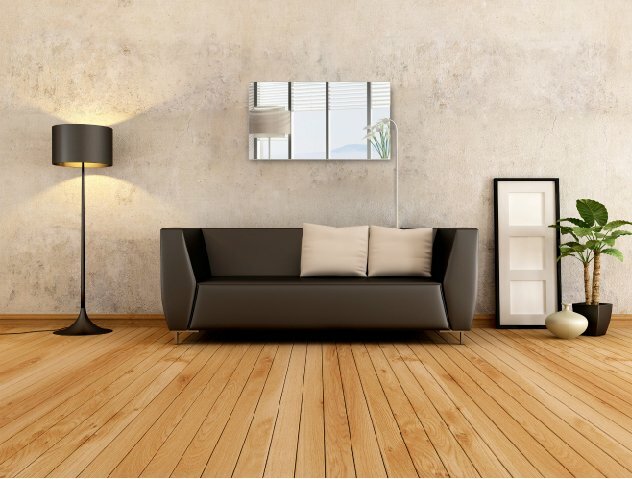 Of course, the panel can be mounted to a wall in any room of your home to provide comforting, even heat. Furthermore, unlike convection heating, this radiant panel does not circulate dust or other allergens into the air. It also is unique in that it delivers heat in the most energy efficient way possible. Ember radiant panels have one of the highest possible efficiency rates and consume the least amount of energy possible*. Model Ember Mirror - 35" x 24"